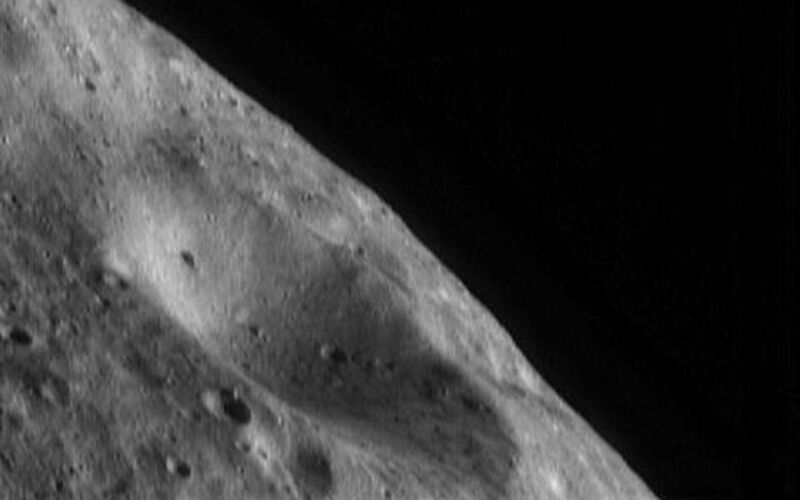 Since April 11, the NEAR Shoemaker spacecraft has orbited Eros at an altitude of 100 kilometers (62 miles) from the asteroid's center. Images acquired from this orbit will be used to make a high-resolution map of the illuminated portion of the asteroid. Each spot on the surface will be imaged under a variety of lighting and viewing conditions to bring out different features. In this image, taken April 17, 2000, from a height of 101 kilometers (63 miles), the shadows highlight small-scale surface features. 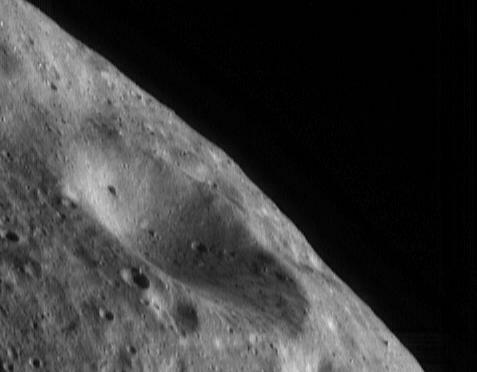 The surface is pockmarked with craters ranging in size up to the 2.8-kilometer (1.74-mile) diameter crater in the center of the image. The smallest craters which can be resolved are about 20 meters (65 feet) across. In lower right corner of the image, 20-meter boulders can be seen that were not evident in images from higher altitudes.